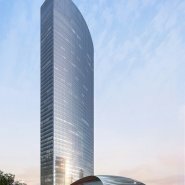 Qintai International Tower is Adrian Smith + Gordon Gill Architecture's winning design for an international competition to design a 248-meter (814-feet) tall, high-performance corporate headquarters tower and related podium structure in Wuhan, Hubei Province, China. 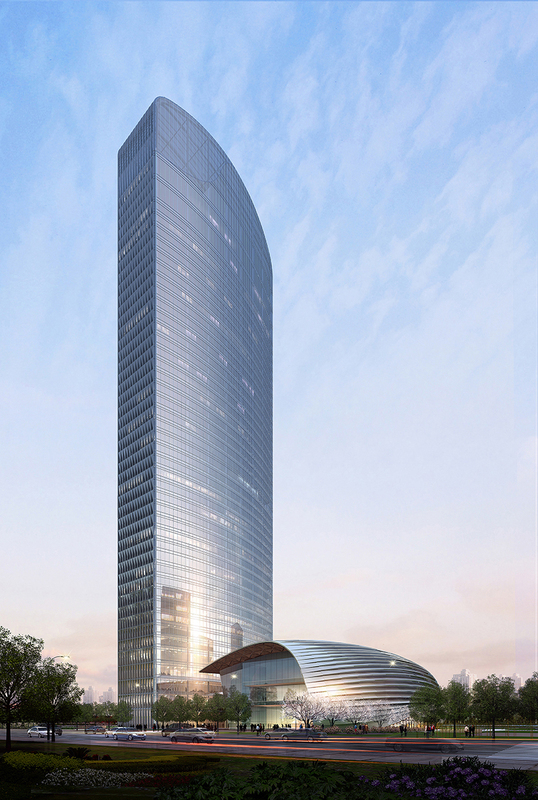 Qintai International Tower's total constructed area is 146,000 square meters, including a 5-star hotel and office space to be occupied by the client, CNTC Hubei Provincial Tobacco Corporation, and other tenants. 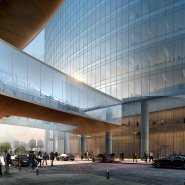 The tower will be connected via a plaza and an above-grade pedestrian bridge to the podium, which will contain retail, restaurants and a conference center with a ballroom. 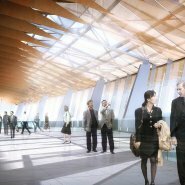 At the top of the tower, a special executive lounge and restaurants will offer spectacular views of the surrounding cityscape. 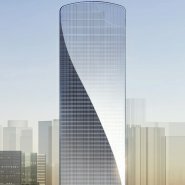 The tower’s unique form is both culturally and environmentally contextual to the city of Wuhan. The genesis of the form in the competition phase related to the Qin, a traditional Chinese musical instrument similar to a zither, featuring strings that are stretched over pegs that form a raised S curve over a rectangular wooden frame. The instrument is similar to the one featured in a Chinese legend with deep significance to the culture of Hubei, which in turn inspired the design process early on. 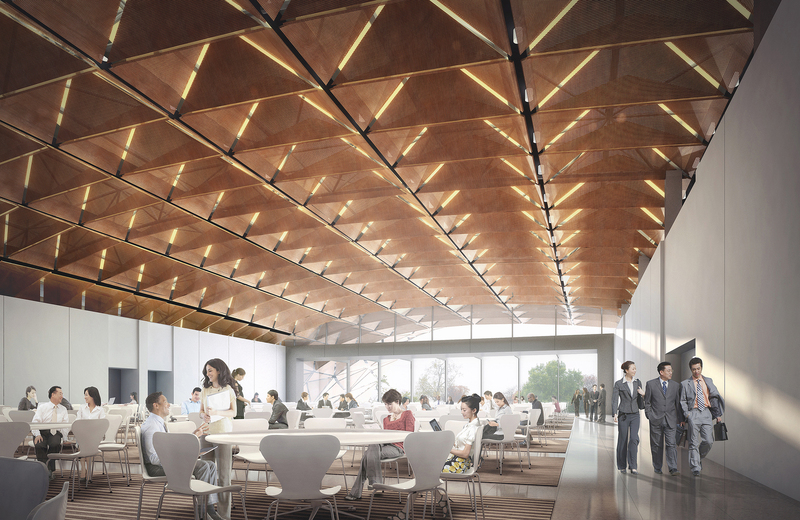 During the ongoing concept design phase, the cultural influence of the building has been developed in relation to the building’s energy performance. 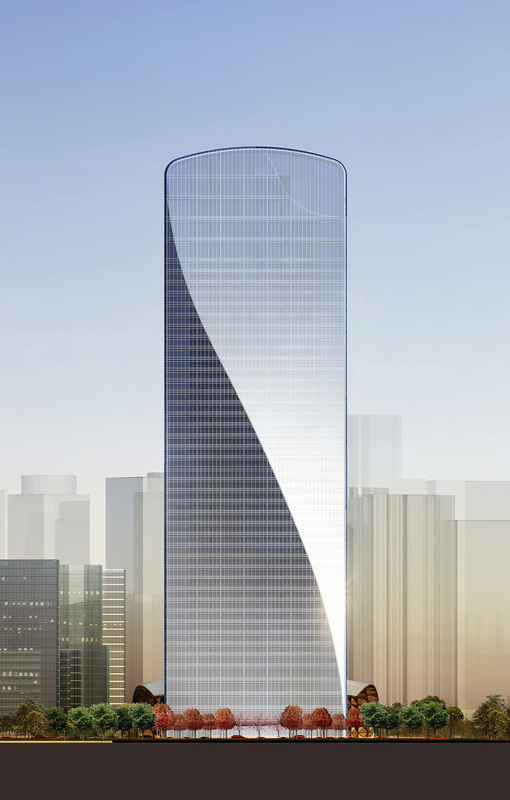 Informed by a rigorous parametric analysis, the façade now bows outward in a diagonal line that ascends northwest up the tower. 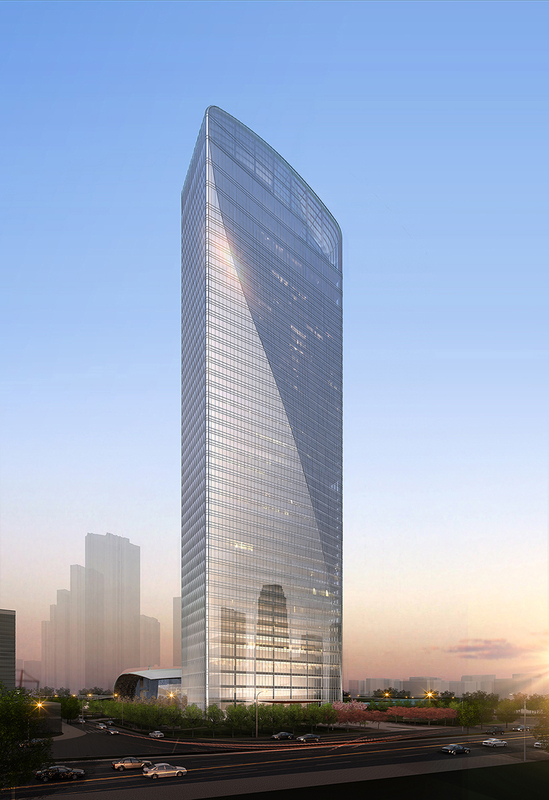 This shape has been adjusted to optimize self-shading and minimize solar heat gain, an effect augmented by the fact that both the tower and podium’s narrowest exposures are mostly to the east and west, from which the sun is harshest. 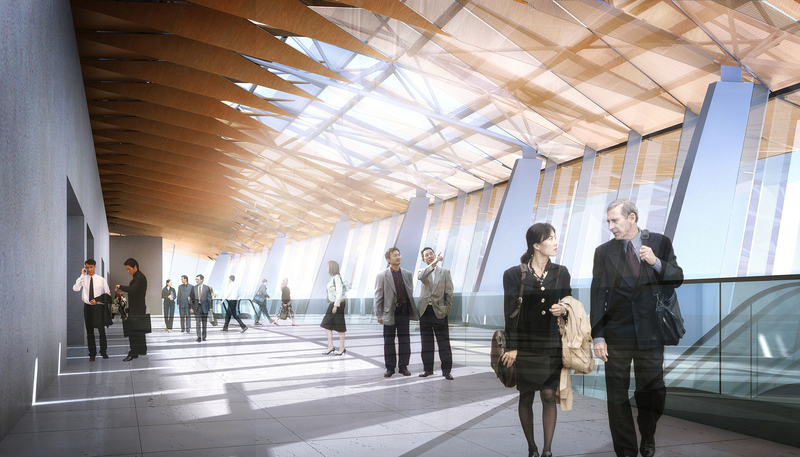 In addition, the tower’s smaller floor plates allow for greater use of daylight harvesting, which in turn reduces the building’s energy consumption for artificial lighting. 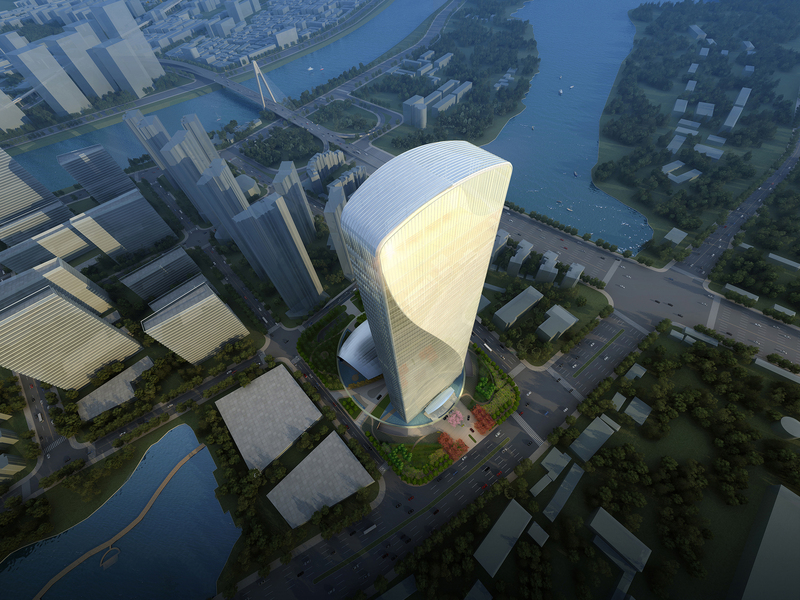 Qintai International Tower is oriented to maximize views of Wuhan’s great bodies of water, including Moon Lake to the east and the nearby Hanshui River to the north. 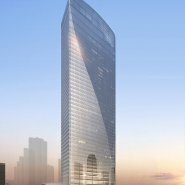 The building will also enjoy a perspective of the AS+GG-designed Wuhan Greenland Center, a supertall tower now in the early stages of construction about five miles from the Qintai site. 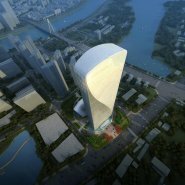 The cultural importance of Moon Lake and the city’s two rivers are emphasized on Qintai International Tower's 25,863 sm site by a series of pools and other water features that surround the tower and podium. 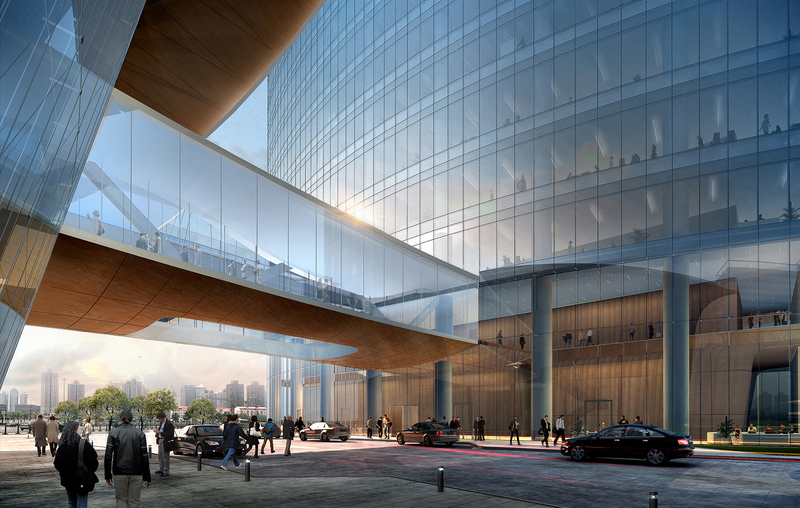 The water features are also performative elements of the design, making the air feel fresher to building users in Wuhan’s hot climate. 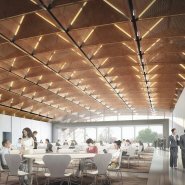 Water for these elements will come from stormwater and/or recovered condensate from the complex.